Amazon isn't the cause of Seattle's frustrations. City leaders are about to make a historic mistake. To understand how we arrived at the firestorm over the proposed head tax and the city’s largest employer, it’s useful to examine some recent history. 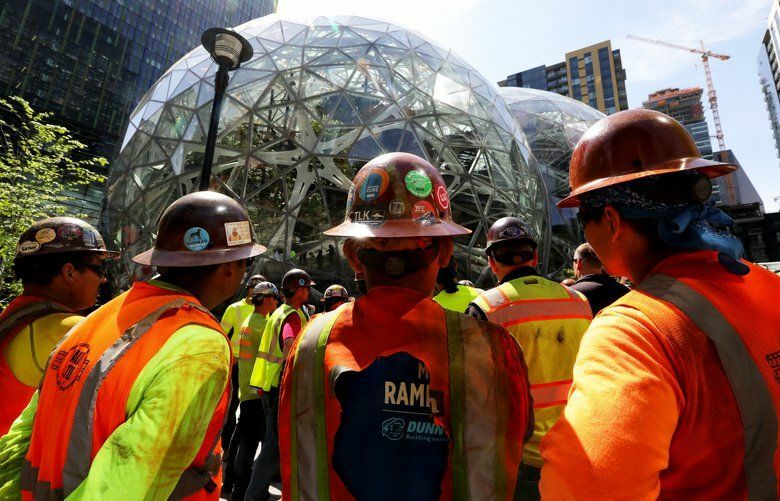 During the Great Recession, after downtown’s keystone employer Washington Mutual collapsed in the largest banking failure in American history, Amazon gave Seattle an unprecedented gift. The company moved from the old PacMed tower on Beacon Hill to a new innovation district being built in once-seedy South Lake Union by Paul Allen’s Vulcan Real Estate. 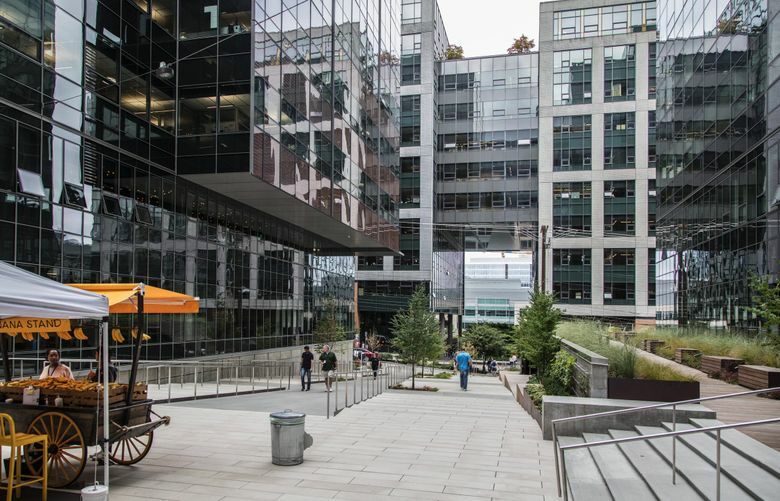 In the next few years, Amazon branched out far beyond e-commerce to become a technology giant with a seemingly insatiable appetite for office space, and grew to 45,000 well-paid jobs in the central core. This happened at a time of slow job growth nationally and a historic rise in unstable “gigs” instead of real employment, benefits and a path to upward mobility. This put Seattle at the headwaters — where executive decisions are made, innovation hatched and the best jobs are positioned — of the one sector in the economy that was growing: tech. The headquarters was unusual in several aspects. For example, it was in the central city, not a suburban office “park.” Employees could live nearby and walk or bike to work. It was far greener than an employment center dependent on single-occupancy car trips. More high-end companies and research outfits joined the innovation district. One of the most astonishing aspects of the windfall was the size of the work force. For example, Procter & Gamble, one of the world’s largest consumer product companies, employs only 10,000 in metropolitan Cincinnati, including its downtown headquarters. Salesforce, with its mammoth new skyscraper in San Francisco, employs 7,000. Amazon’s economic footprint was no less impressive. From 2010 to June 2017, HQ1 brought $3.7 billion in capital investment, $25.7 billion in employee compensation, $43 million paid for employee transit benefits, and 53,000 additional jobs as a direct result of Amazon direct investments. Hundreds of millions of dollars went to the city treasury thanks to construction fees and taxes. And Seattle got this windfall with no demand for billions in incentives, unlike Boeing. Seen in this frame, the City Council majority support of a tax on large employers and some members’ antipathy toward Amazon is a staggering act of ignorance and destructiveness. No wonder Amazon opened bids for a second “fully equal” headquarters, notably one with a stable, business-friendly climate. Some 238 localities were willing to give incentives to receive 50,000 high-paid employees and $5 billion in investment. Despite the horror of urbanists over corporate giveaways, many of these cities live in the rough economy that is the norm today. They don’t have Seattle luck. No wonder Amazon recently put further growth here on hold pending the outcome of the tax vote. This is not posturing. Amazon is a data-driven company, making a rational decision. If there’s bullying or extortion, it’s coming from City Hall. But it’s wrong to frame this as a battle between City Hall and Amazon. The tax would affect as many as 585 companies in the city limits, from tech giants to local manufacturing concerns. With its lower cost than the Bay Area but a high talent pool, the Seattle area has attracted a Who’s Who of tech outposts. From February 2010 to March 2018, the Seattle-Tacoma-Bellevue metro area added 390,000 jobs in all sectors.. The head tax won’t be paid out of CEO compensation but from making fewer hires here. Other economic concerns are specific. For example, metal recyclers operate on tiny margins and have little room to raise prices in a global arena. And the tax would hit when the construction cycle is winding down anyway, adding a further drag on the city. As I’ve argued before, low taxes don’t translate to a quality economy. But ever-higher taxes in a central city surrounded by lower-tax urbanizing suburbs can be an invitation for city companies to relocate — or stop growing. Seattle’s good urban bones and attractions, its luck in the “back to the city” movement, will get it only so far. San Francisco, Boston and other liberal cities have a long history of pragmatism toward business. The same was once true of Seattle. Now, some council members are using major employers as punching bags, whether out of political opportunism or clueless dogma. Yet almost all small business depends on big companies. The latter also provide the best pay and capital investment. The former benefit from being vendors or providing services. No wonder my blue-collar barber was so angry over the tax — potentially fewer heads for him to cut. There’s not an evil Big Economy and a cuddly Small Economy. There’s only one economy. Its historic boom generated $454 million in city taxes in 2016, including $259 million from downtown enterprises. Which raises questions about the priorities and competence of public officials. They failed to adequately build-out transit. They failed to build more housing soon enough. Most glaringly, they have spent ever more millions on services for the complex set of social issues lumped under the term “homeless” — and the problem is worse than ever. No credible evidence exists, as some pols and activists claim, that Amazon caused the rise of the unsheltered population. Indeed, consultants said the city didn’t need more money to address it. I’m no fan of enormous companies with unhealthy power in the marketplace. But this is a problem that’s decades in the making. Liberals would have to win many national elections to enact Progressive Era trust busting. In the meantime, why should Seattle unilaterally disarm? We would be worse off, including in having the means to enact effective compassionate programs, without Amazon.